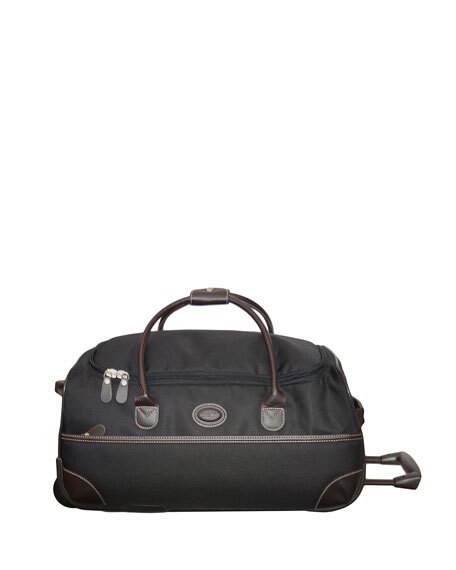 Ultra-lightweight rolling duffel made of durable, easy-to-clean, abrasion-resistant, denier nylon over a polyfoam frame. Poly-coated nylon lining and PVC trim. 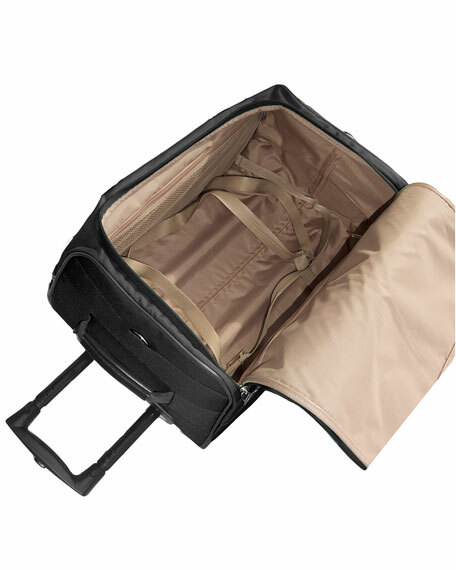 Retractable handle and pockets for easy organization. 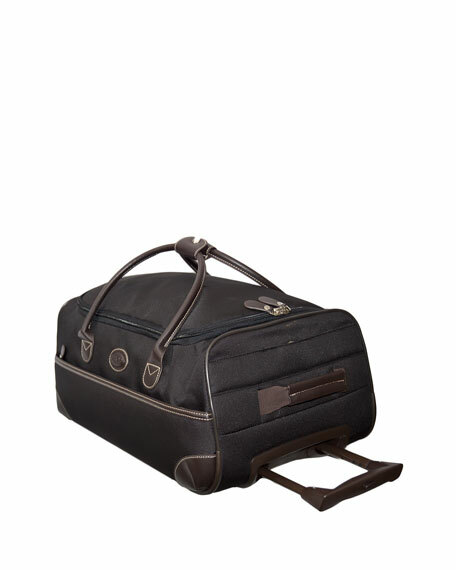 21"L x 13"D x 10"T.
MCM "Gunta" rolling carryon suitcase in signature logo coated canvas with leather trim. Two-way zip-around closure. Short telescoping handle. Metal keys and padlock; leather key cover. Four easy-rolling wheels. Interior; two zip pockets; two slip pockets. Approx. 21.5"H x 13"W x 7.5"D. Imported. MCM logo-print coated canvas weekender bag with leather trim. Rolled top handles with buckle clasp. Removable, adjustable shoulder strap. Luggage and ID tag hangs from front. Two-way zip top closure. Interior, slip and zip pockets. 11"H x 20"W x 9"D. Imported.